Barring notable exceptions like Romila Thapar and D.D. Kaushambi, one thing is common in the writings of all modern Indian historians: deliberate and well-planned disregard for Bahujans and glorification of brahmanical and feudal forces. What happened recently in Bihar has again underlined this fact. 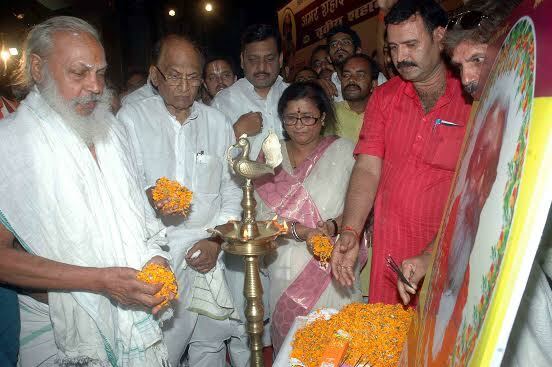 On 1 June 2015, a programme was organized at Patna’s Shrikrishna Memorial Auditorium. Huge hoardings and banners announcing the programme were put up at all important road junctions of the city. “Third martyrdom day of immortal martyr Brahmeshwar Mukhiya”, the hoardings said in bold relief. The person being described as “immortal martyr” is the same Brahmeshwar Mukhiya who had masterminded 30 massacres between 1995 and 2002 in which more than 300 Dalits and OBCs were gunned down by feudal forces. Many senior Congress and BJP leaders took part in the function. Normally, at public functions, the leaders speak and the people listen. But here, the people gave the leaders an earful. Among those present on the occasion was Dr C.P. Thakur, who is an acknowledged leader of the Bhumihars. Congress leader and former MP Akhilesh Singh, and Usha Vidhyarthi, the BJP MLA from Paliganj assembly constituency, were also present. 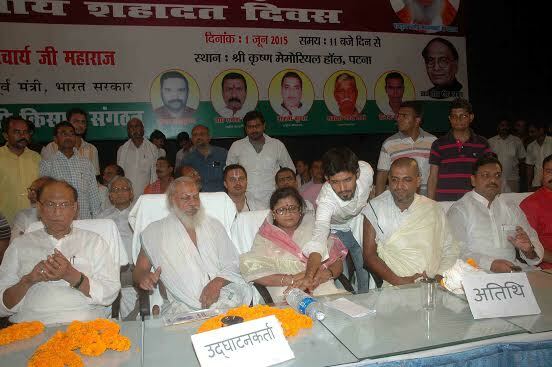 The speakers at the function described Mukhiya as a great nationalist, patriot, and messiah of the farmers. Some wanted his statue installed in Patna. Many speakers berated the leaders of their community for having failed to get the murderers of their icon punished. Dr C.P. Thakur assured the audience that he would raise the issue of Mukhiya’s martyrdom in Parliament. Mukhiya was shot by unidentified people in the Katira locality of Arrah on 1 June 2012. Succumbing to the pressure of the Savarnas, the government had handed over the probe into his murder to the CBI despite the fact that the SIT constituted by the state government had almost cracked the case. It was revealed that Mukhiya was murdered because he was linked to a case of extortion involving a mere Rs 50,000. Such a man was being described as an immortal martyr and what not by the newspapers of Bihar. The programme was also used to send out a clear message that the Bhumihars were united. It was announced that Bhumihars would vote for the BJP only if it makes Dr C.P. Thakur its chief ministerial candidate. Most importantly, the speakers flayed the Nitish Kumar government for ignoring farmers. They alleged that the farmers in the state were committing suicide because of the delay in the payment for the paddy procured by the government.